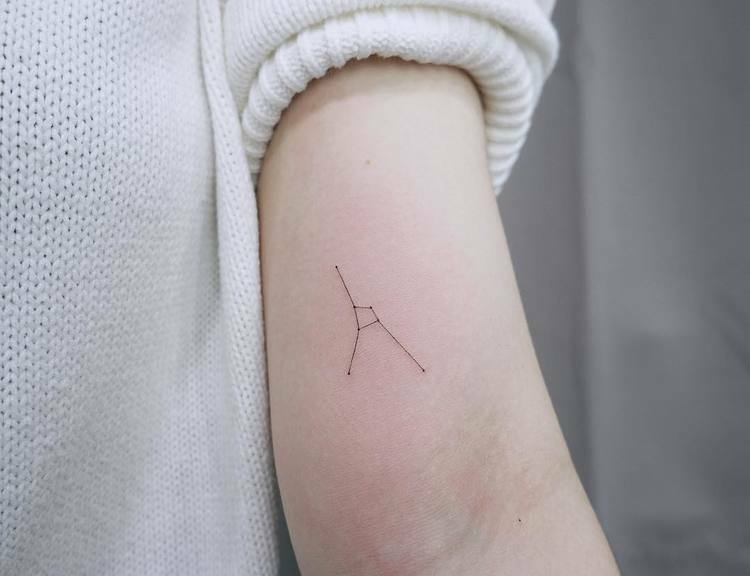 Constellation tattoo designs are the most popular tattoos inspired by space. 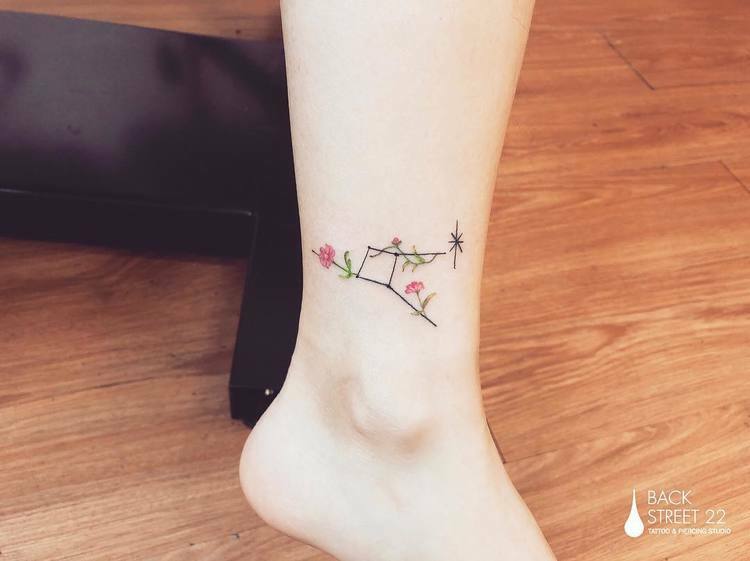 Although they can be very minimalistic in style, they are pretty and hold powerful symbolism. 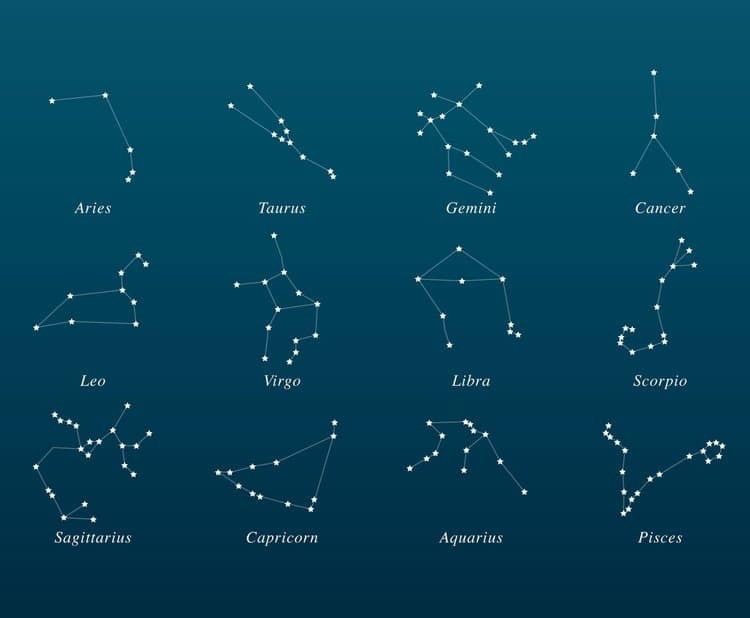 Constellations are groups of stars considered to form imaginary outlines or meaningful patterns, typically representing animals, mythological people, gods or creatures. 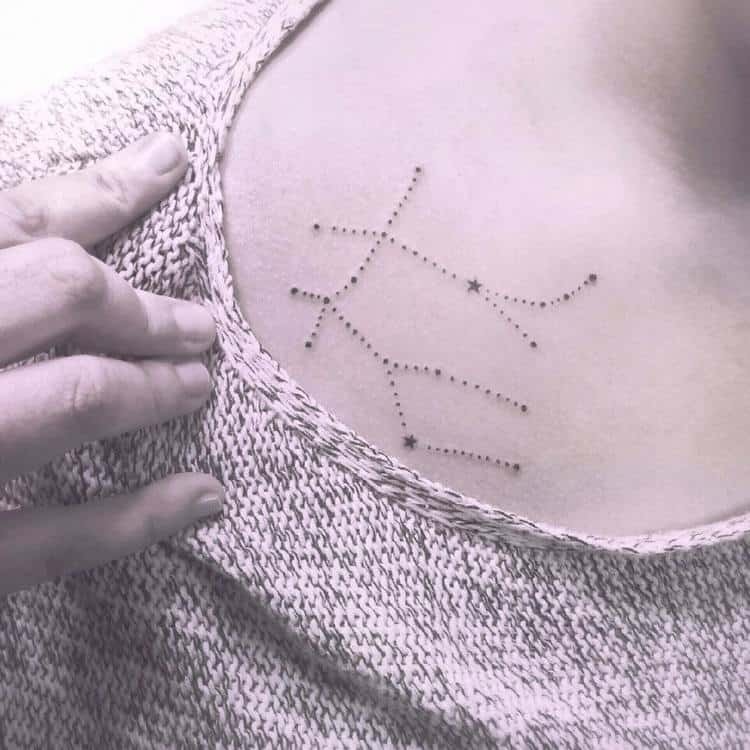 Celestial bodies have fascinated mankind since the ancient times and these groups of stars that form mythical shapes are truly captivating. 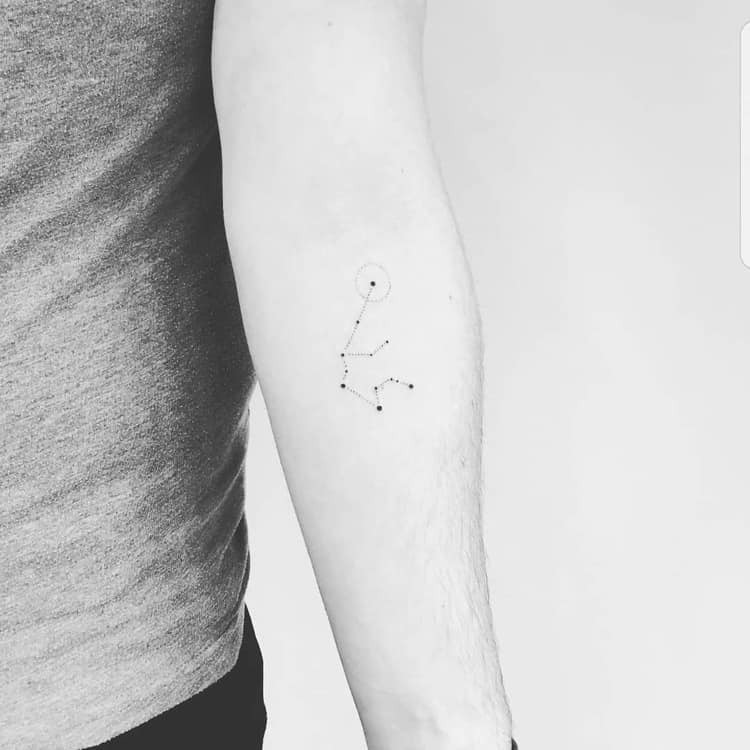 Having a constellation tattoo is a good way to express your fascination with the stars and the mysterious nature of the universe. 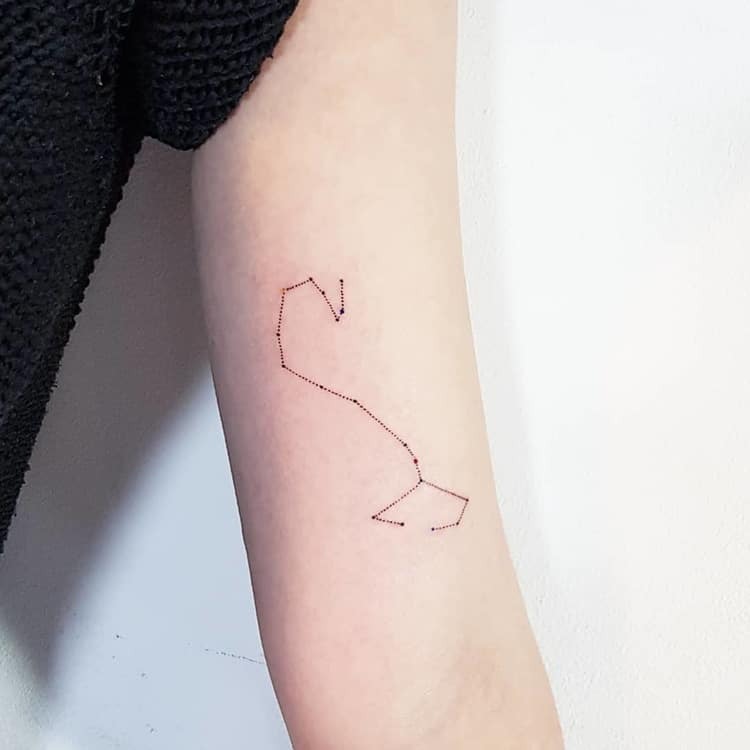 Long before the invention of the compass people used the stars for orientation and navigation. 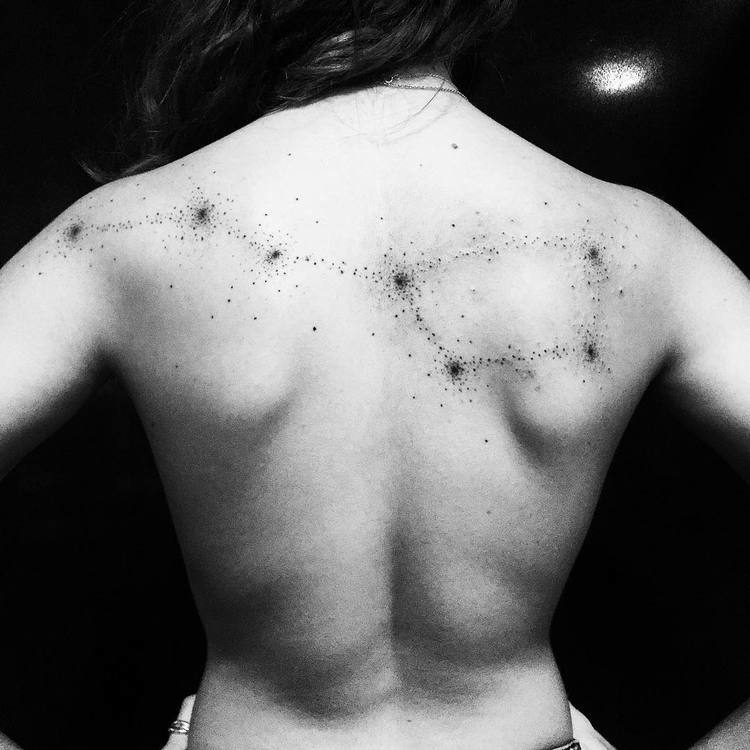 Sailors were guiding to the position of constellations to find their way back home. 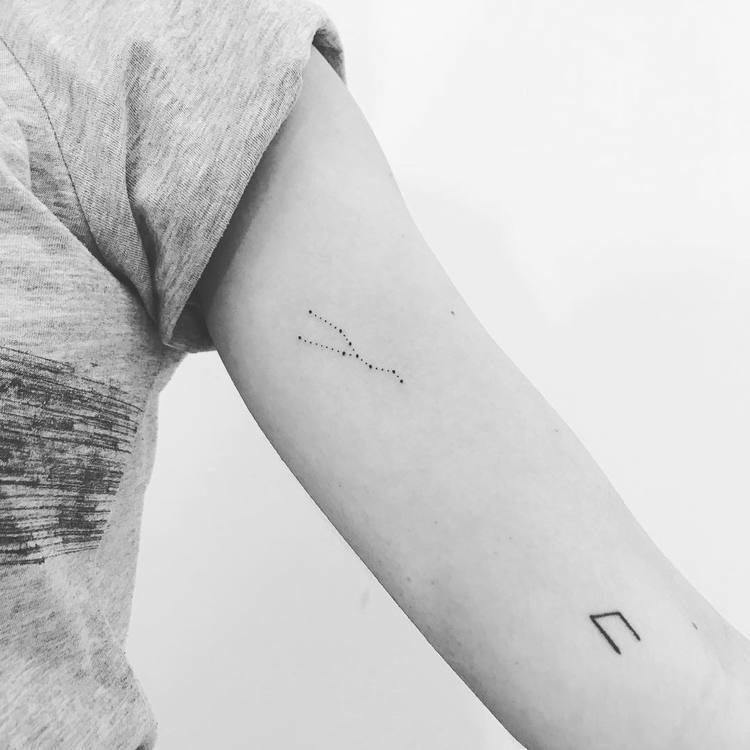 Symbolically, a constellation tattoo will guide you through life by illuminating your path. 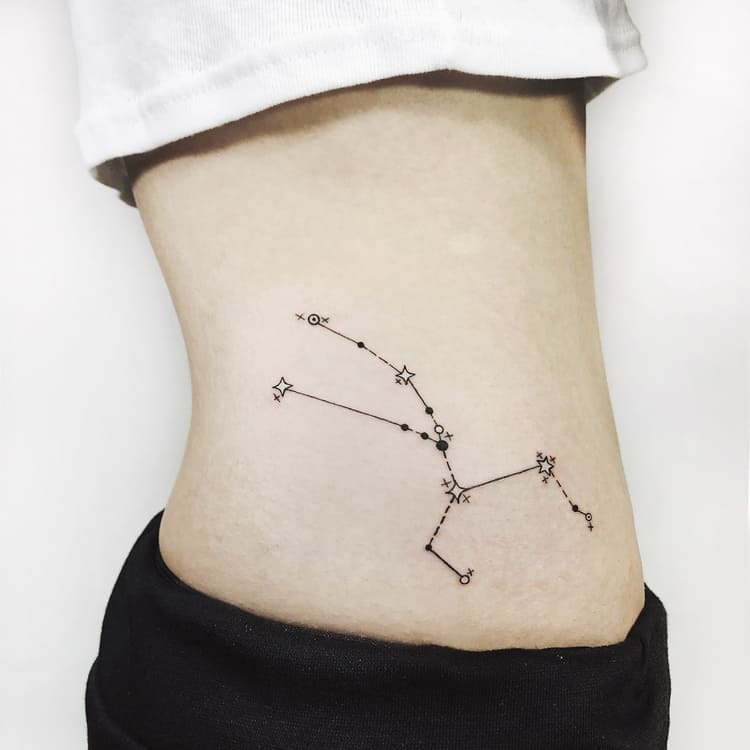 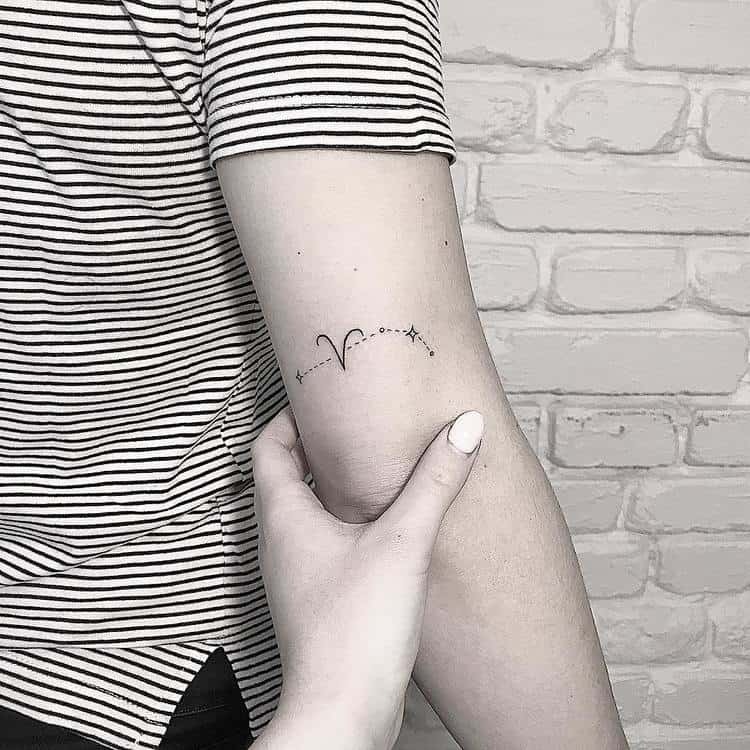 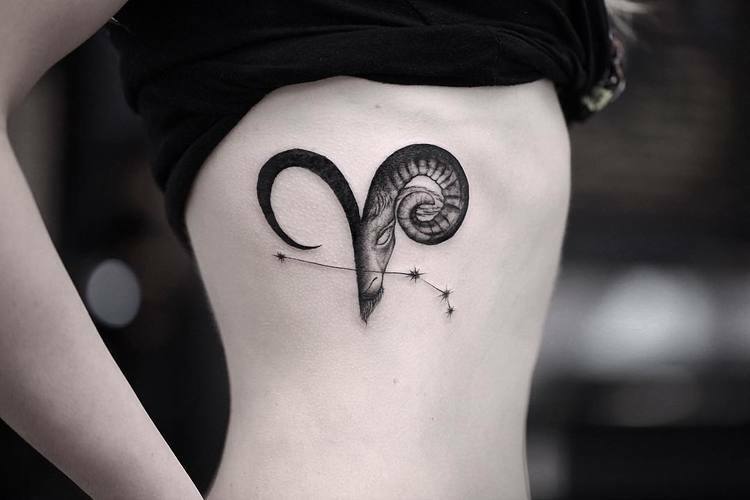 The most requested constellation tattoos are the zodiacal signs, which for astrology enthusiasts have profound meanings and are considered to influence their fate. 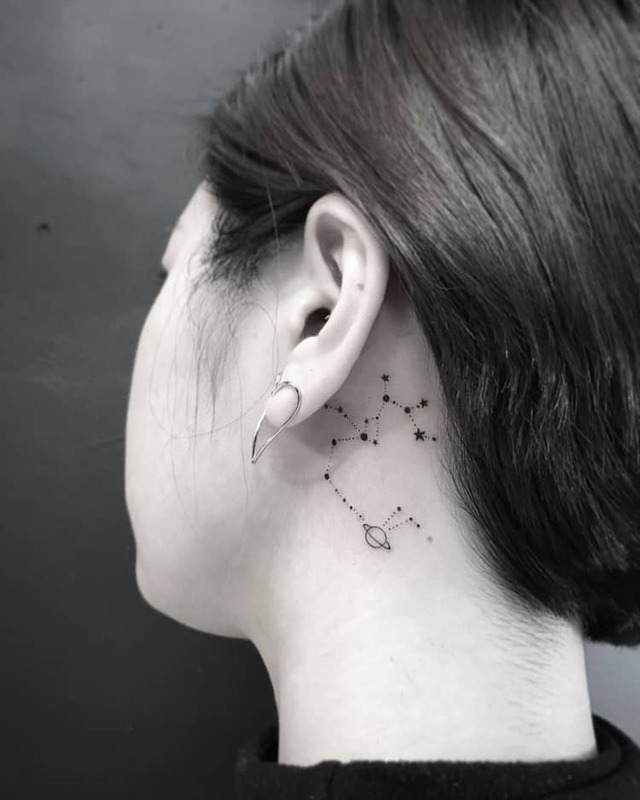 Check our selection of 40 constellation tattoo designs below and get inspired!